High Desert Relief Medical Dispensary & Bhang Chocolate of New Mexico come together to bring you this years Premier 420 Festival! 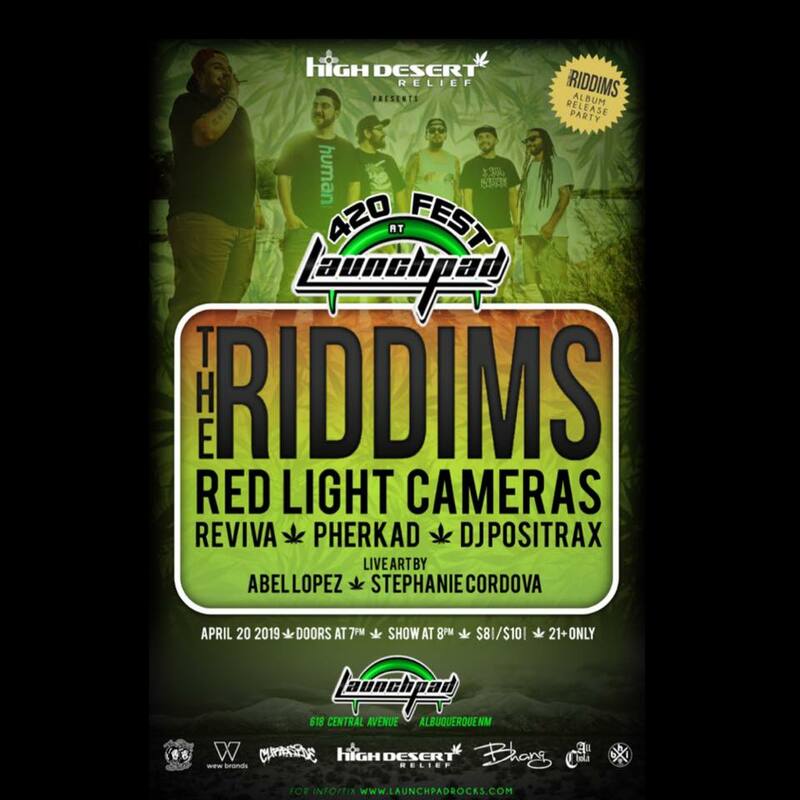 Come down to The Launchpad Saturday April 20th and celebrate everyone’s favorite holiday as well the release of The Riddims new album! $10 day at the Door!